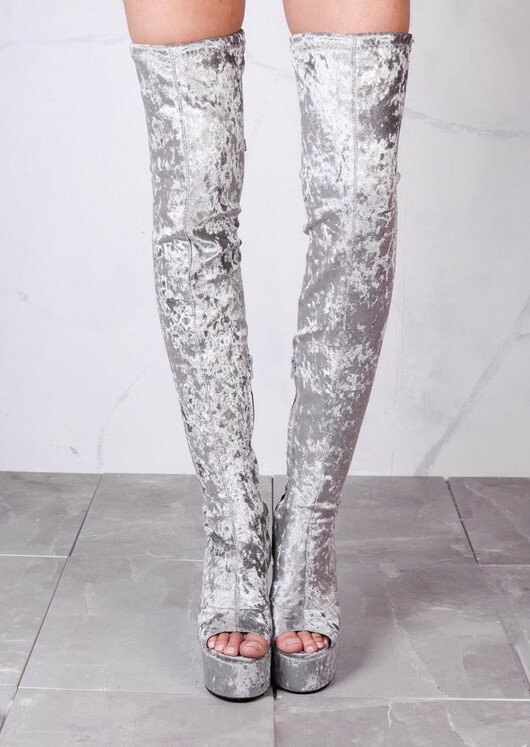 Stand out in these crushed velvet platform grey over the knee boots. Featuring a side zip fastening, peep toe and a platform heel. These striking boots are a must-have in your wardrobe and will update a casual outfit! Style with denim cut-offs, bodysuit and puffer jacket for a fun and stylish look. -Measurement: Heel 6" Length 31"